This Sept. 12, 2016, booking photo provided by Marion County, Ind. shows Donald Cline. In December 2017, Cline receive a one-year suspended sentence for lying when he’d denied being a sperm donor to unwitting patients. At his sentencing, Cline said he was “very sorry for the pain my actions have caused” but didn’t specify how often he was a sperm donor; court documents say he told Jacoba Ballard it was about 50 times. 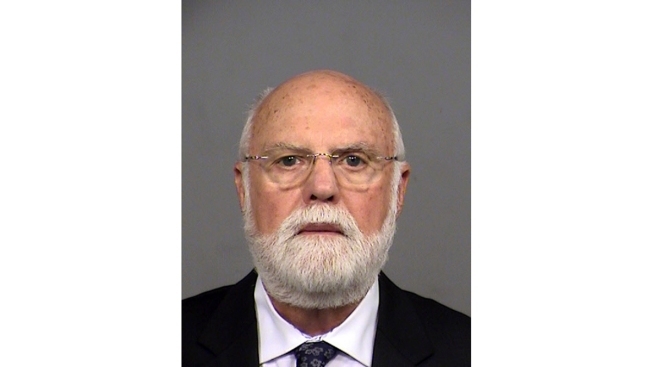 A retired Indianapolis fertility doctor who lied about using his own sperm to impregnate possibly dozens of women surrendered his medical license Thursday to a state board that also barred him from ever seeking its reinstatement. After an attorney for Dr. Donald Cline surrendered his expired license to the Indiana Medical Licensing Board, the 7-member panel voted to prohibit the 79-year-old Cline from ever applying for a license in Indiana again. Indiana's supervising deputy attorney general, Laura Iosue, asked the board before the vote to consider the impact of Cline's actions. "It's particularly egregious. The important thing is that Dr. Cline doesn't practice anymore," she said. Cline, who retired from practice in 2009, was given a one-year suspended sentence in December after pleading guilty to two counts of obstruction of justice. He'd used his own sperm to impregnate as possibly dozens of women after telling them the donors were anonymous. Cline was charged after lying to investigators, and he had faced up to three years in prison on each count. The charges stemmed from two confirmed cases of paternity, but children of women treated by Cline have said DNA tests show he's likely the biological father of as many as 20 of them . Cline apologized "for the pain my actions have caused" during his December sentencing, although he didn't specify how often he used his own sperm in procedures. But court documents state that he told one of his biological daughters, Jacoba Ballard, that he had done so about 50 times in the 1970s and 1980s. Ballard said at Thursday's hearing that Cline's actions have "affected me in every possible way." 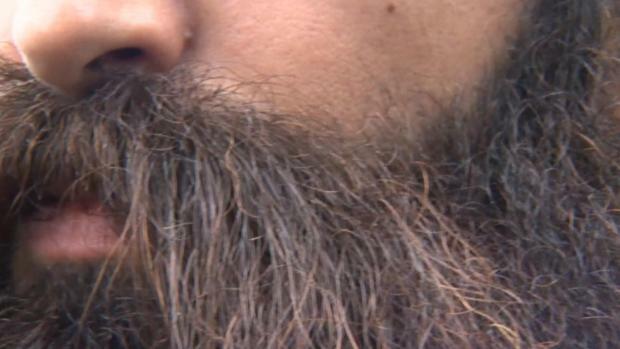 "He's portrayed as this man that's remorseful," she said. A total of 10 people who believe Cline is their biological father attended Thursday's hearing with their mothers. Many of Cline's former patients and their children are now focusing on persuading Indiana lawmakers to pass a measure that would deem a fertility doctor's use of his own sperm as a crime. Matt White, who learned as an adult that the "anonymous" sperm donor who impregnated his mother was actually Cline, called the surrender of Cline's already expired license "a slap on the wrist." But he said he appreciated the board barring Cline from ever seeking to seek reinstatement of his license. "That was a small victory," he said.